SLIMLINE ALUMINIUM WINDOWS AND GLASS DOORS. Click here and enter your details for a QUICK QUOTE! 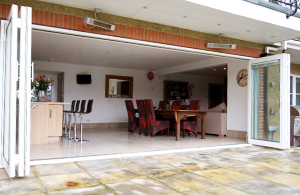 our aluminium bifolding doors are designed and developed in the UK, to give minimum frame widths and maximise views. They are suitable for various residential and commercial applications. Those are the words that best describe our range of highly energy efficient aluminium windows. Also available for all residential and commercial applications. As UK’s first manufacturer, supplier and installer of frameless glass doors, they are truly a unique product which allow clear glass views without the interruption of bulky frames. Available in single and double glazed, they are also fully retractable and weather proof. When looking for high-quality aluminium windows and doors, its best to look for someone who can reliably manufacture, supply, and install them. At-home and commercial installations include aluminium windows, frameless glass doors for patios, bifolding doors, double glazed windows, composite doors, and more. Even replacement windows have slim frames and are durable enough to last longer than traditional ones. Products are designed to add value to any home while providing energy efficiency. They have an “A” rating when it comes to efficiency. Featuring the thinnest frames available, aluminium windows are perfectly suited to replace others and are offered with different glass options so customers can order the specific energy efficiency and sunlight level to meet their needs. Options such as self cleaning are also available. 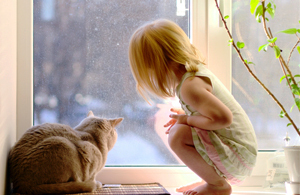 Plastic is no longer the only choice with replacement windows and those with double glazing. There are over 200 colors to choose from. Aluminium double glazed windows achieve the same energy efficiency as a PVCU window. In addition, the prices are lower than anywhere else in the UK so quality comes with affordability. Also, look for an experienced manufacturer so you get the best aluminium window or door system installed. No only do you get great views outside; the heating bills tend to be lower in winter. 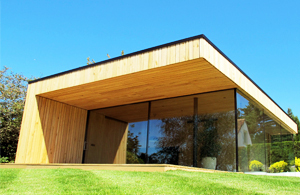 Slim aluminium windows truly keep the heat inside and prevent it from escaping the house. This also keeps all occupants more comfortable and they can better enjoy the experience of being indoors. The benefits of a low cost installation are numerous. Even a custom installation takes only a few weeks to be completed. There’s no excuse to not start researching aluminium window and door companies to get on par with the latest energy standards. Great installation and 5/5 aftercare! I’d throughly recommend their service and if you’re looking for a better alternative to PVC then aluminium is the way to go. We used avento glass for several projects. They supplied aluminium windows and doors to our properties. on time, high quality finish and all within just 6 weeks. More expensive than traditional PVC windows, but well worth the investment. Added value to our home and we’re VERY happy with the product and team at avento! Feel free to contact e for a personal recommendation. We also had frameless glass doors installed and they are a far superior product to any other bifolds on the market.